Georgia Regional Mustang Club and WMR will be joining each other at the 2nd Annual Mustang and Classic Ford Show Saturday, September 21, 2013 at Hardy Family Ford in Dallas, Georgia from 10am - 4pm. WMR will be judging on "Best In Show" & 1st, 2nd & 3rd Runners Up White (ford) Mustangs! 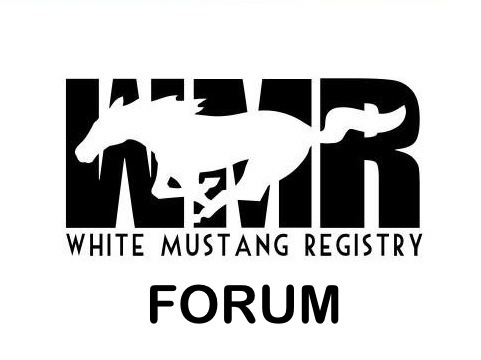 This will be our FIRST ANNUAL "White Mustang Registry" SHOW! There will be Mustang Clubs from all over the South East and across the country at this event and if you can make it - it will be an event to remember!